This is my life. I am at an impasse - stuck in every way imaginable. The paradox is that everything I am doing is filled with light, but none of it makes my spirit soar. That is, with the exception of photography. The work is to acknowledge the powerlessness of being in impasse, to embrace the mystery of it, and to be fully present. On another note, a photo I posted last Wednesday wound up with 30 fav's, yet did not make the TT. Are photos that are posted on Wednesday no longer a part of the algorithms considered in the following days toward the TT? Just kinda bummed. But once again, why does this bother me so much? It's because I have an ego that needs taming. All part of the impasse. This is quite beautiful and perfectly illustrates your state of impasse. Regarding the TT - the mystery of the algorithm is something we all try to understand but fail!! Incredibly gorgeous photo. Life is tough. I often feel stuck, too! Hoping the sunshine comes out soon for you. @danette Thank you kindly, Danette! Hugs. 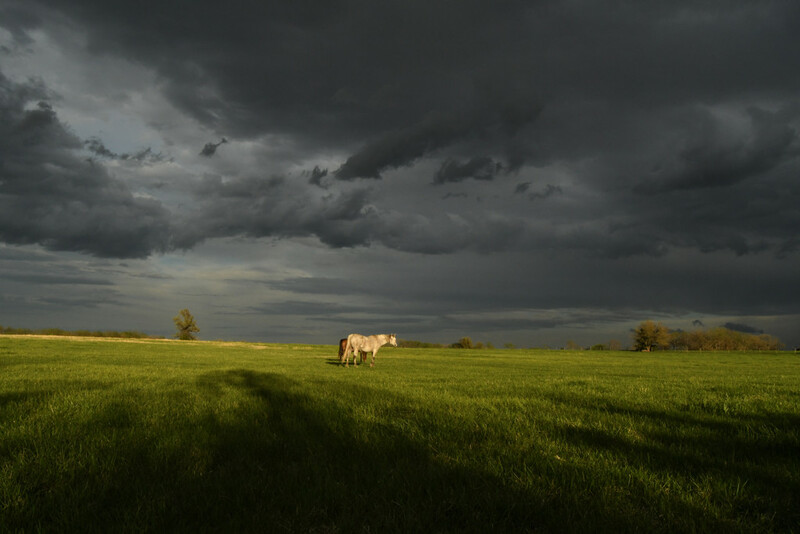 The clouds, the shadows, the fabulous light on the horses - love this! I'm hearing you - I am finding that a large amount of images on the popular page get there with 0 comments and 0 favs. I used to be there a lot, but haven't been for some time. That's ok, until I find people with 0 followers, and who follow 0 people, get 0 comments and hit the PP. I went to help and saw that Ross says don't even email me about who gets onto the PP. Rant over, I love this place, but I would rather we didn't have a PP if it means nothing.